Many people think that this genre of photography begins and ends with images of either Sunrises and Sunsets or waterfalls at the most! True, these are some of the favorite subjects for Landscape photographers but that’s not all, there are a lot of creative options one can try in this area. Even to make images of waterfalls or Sunsets, its not always straight forward, it’s not as easy as some may think, and it’s definitely not as difficult as I may sound. It is one genre of photography which every camera wielding and trigger happy Trevor has tried. But if executed the right way you have more than just a picture. 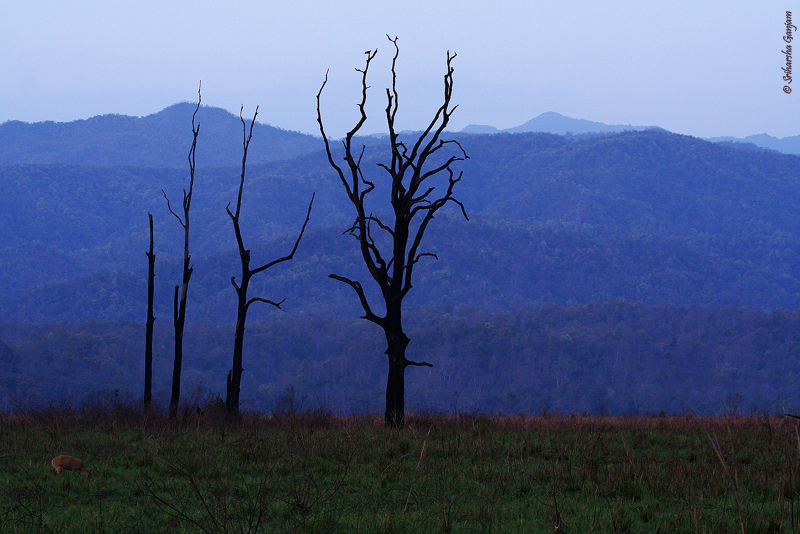 So what is Landscape photography? I happened to ask this question to a few of my friends, and found to my surprise that most of them seemed to share some rather curious misconceptions. I hope to dispel some of these common myths to say the least, and in the process help you become a better photographer. Not always! Even though a wide angle lens is often used in landscapes, having a Tele lens helps, it can sometimes help you isolate the subject of interest much better than a generic wide angle can. Isolating the main subject for the viewer to focus on, is often the key in good landscape photography. With a wide angle lens you sometimes stand the risk of including too much clutter into the frame which can reduce the appeal of the photograph. 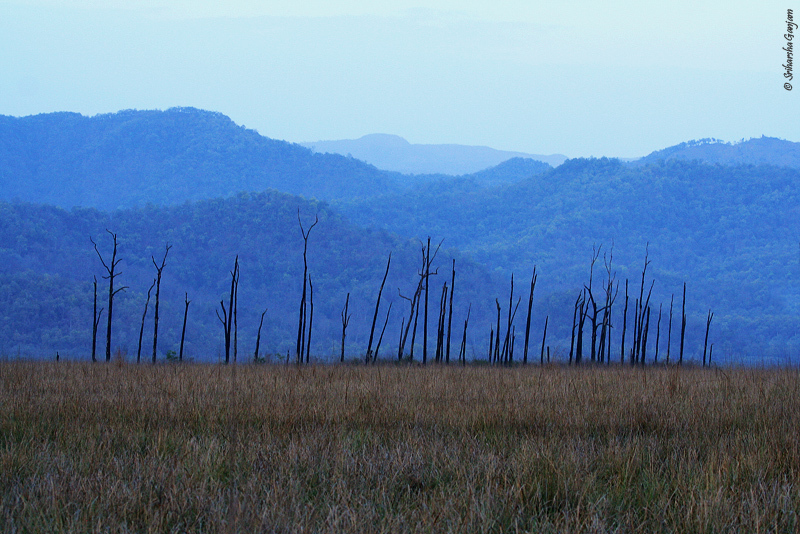 This image was made at a focal length of 100 mm (still pretty long for conventional landscapes) but here the main subjects of interest are the Cool blue mountains of Corbett and its Dhikala grass lands. On the other hand, this image was made at 400 mm, and by using the long focal I could isolate the dead trees better and thereby moving the point of interest on to them. The cool blue hills still provide a nice soothing touch, but the perspective of this images has changed just by changing the focal length. Sometimes focal lengths can make all the difference. 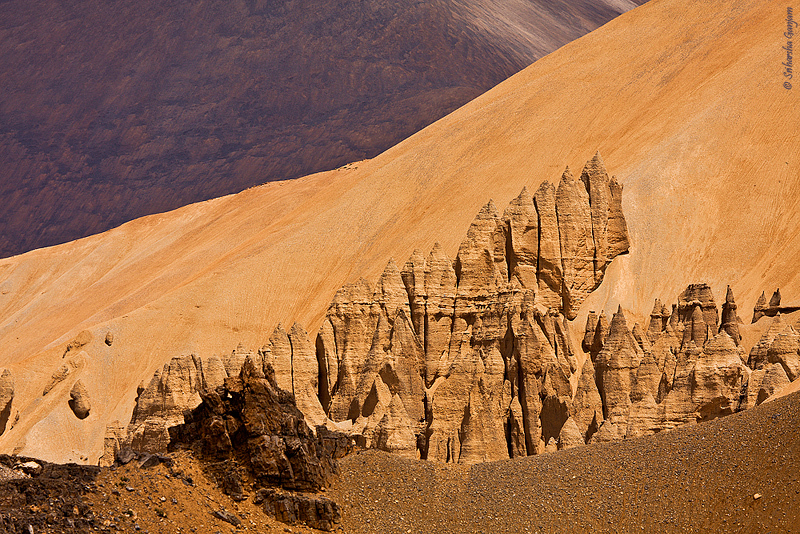 Myth No 2: Landscape images are all about focusing on the distant most point. Not always!! Shooting landscape images is much more than just making pictures of distant mountains. What many people fail to realize, is the significance of using a good Foreground (FG) anchor point. Having an “empty” FG results in an image, which fails to initiate any interest in the viewer. Instead try to include an “anchor” point in the FG of your image. This “anchor” draws the attention of the viewer initially and once the eyes have finished exploring this anchor they gradually spill onto the reminder of the image there by soaking in the entire “Landscape” in stages, which accounts for a better viewing pleasure. 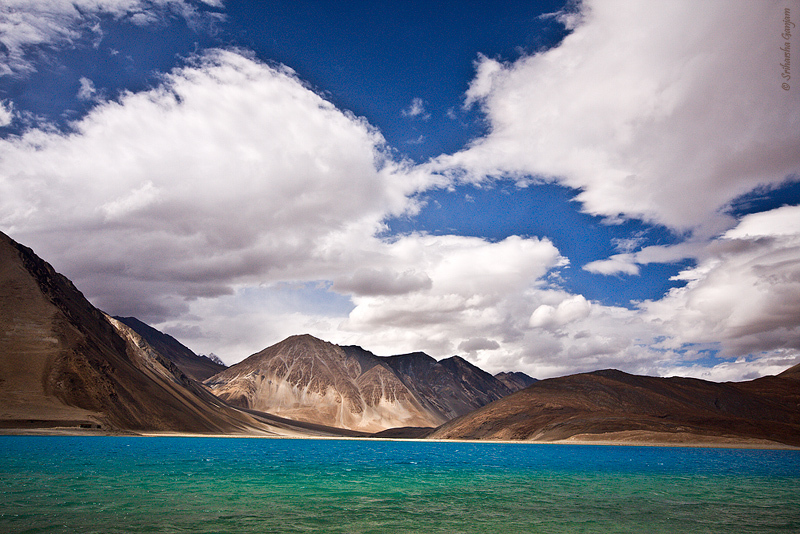 This is Pangong Tso Lake in Ladakh on the Indo-Chinese border. It’s the biggest of the salt water lakes in the region. It’s got crystal clear waters which have a haunting blue color. This image is more of a regular landscape picture, the scene is pretty, but that’s pretty much it. Same place but now with some prayer stones in the foreground left by the Tibetans. I found this interesting as it was adding to the beauty of the scape. Not only does this provide the viewer with an anchor point but also says something about the local tradition and beliefs which makes the viewer associate himself with the picture. Landscape pictures is not just about making pretty pictures, it’s also about telling stories. Not always!!! There are as many good pictures of landscapes in the Portrait (vertical) orientation as in Landscape orientation. It all depends on the situation and what works in vertical orientation may some times not work for horizontal orientation and vice versa. The final outcome is decided on what the photographer wants to show in his picture and how he wants to show it. A conventional “Landscape” is good. 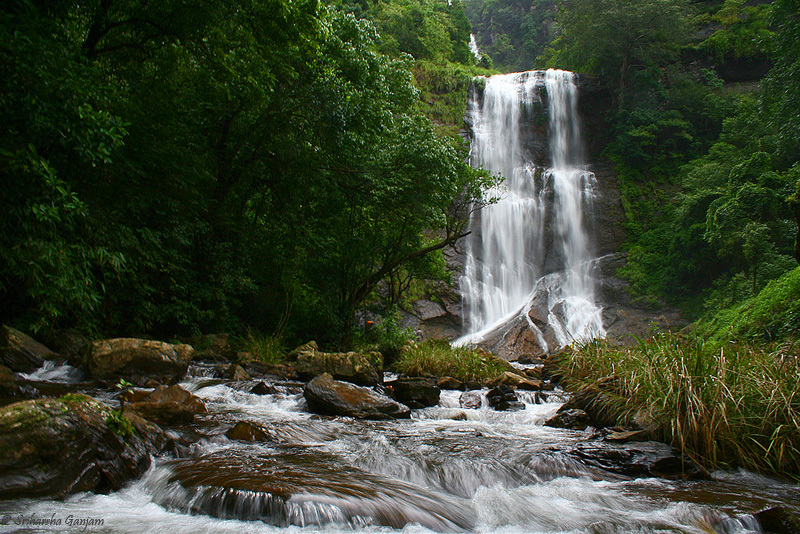 This image shows the beautiful Hebbe falls and the thick forests surrounding it. 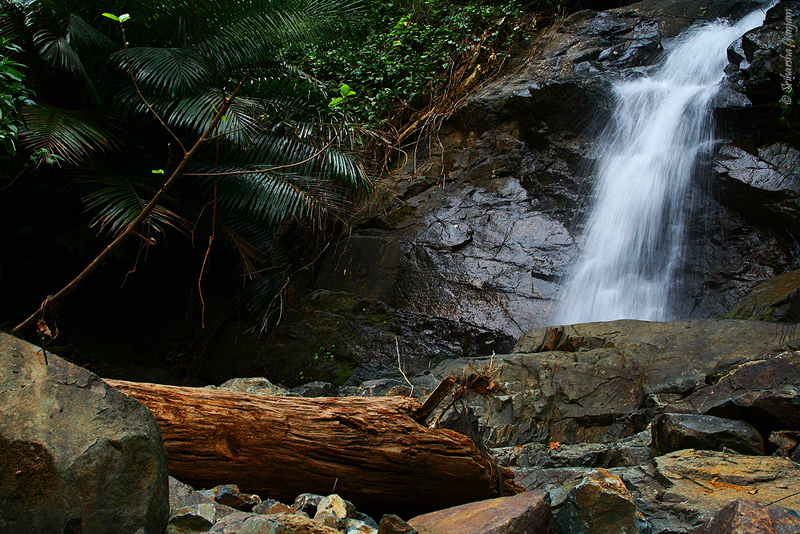 I would choose this image if I wanted to show the habitat which surrounds this beautiful water fall. The portrait orientation also works here, but this excludes the surrounding forest from the frame and I would choose this image if I wanted to show the viewer just the water fall. It’s a matter of personal preference and you are the best judge to choose the framing orientation. Not always!!!! A close compact scene can also have a nice effect if you know what to highlight in your picture. More often than ever it involves isolating the point of interest and this is another situation when having a long tele lens can come in handy, to help you isolate the subject. 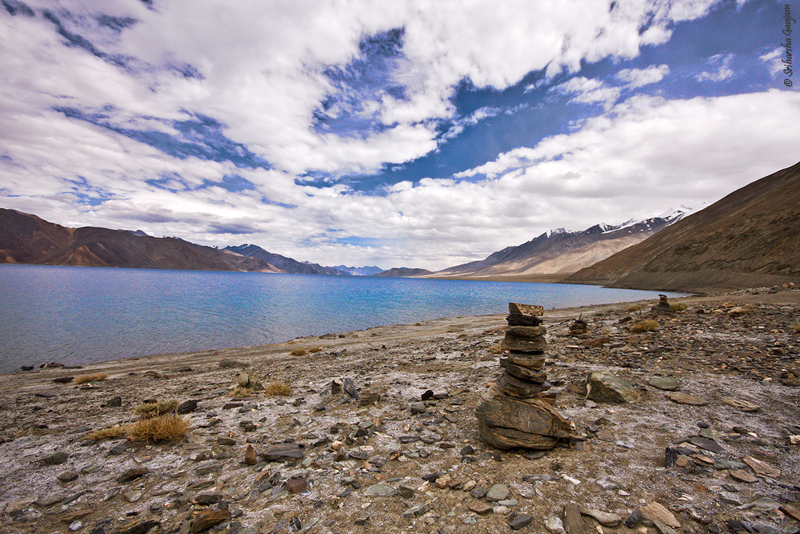 I found these weird shaped rocks jutting out of the sand on my way to Leh in Ladakh and thought it would be a nice idea to try isolating it against the sands. I composed this at 220 mm and this image doesn’t have an openness you usually associate landscape images with. 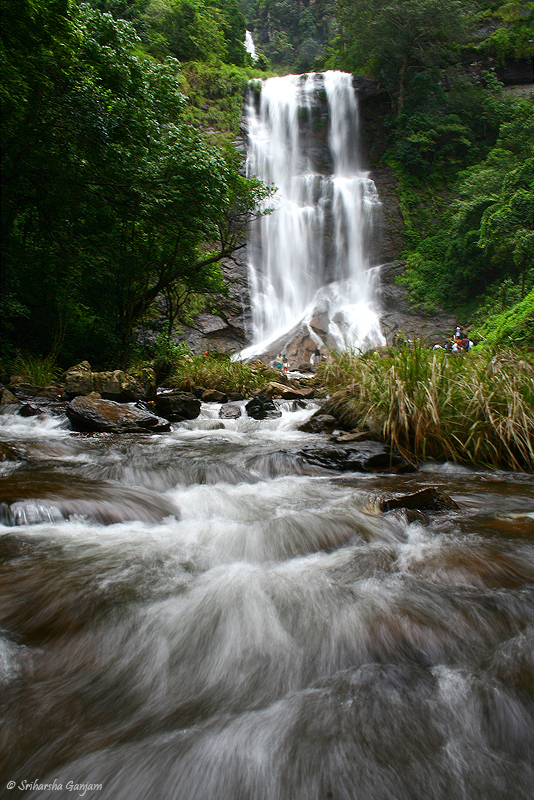 This image, even though was shot at 18 mm, is still pretty closed and compact as I have concentrated on this small lonely water fall which we discovered inside Bhagwan Mahaveer Sanctuary on the Karnataka Goa border deep inside the Western Ghats, where visibility is restricted to a few feet due to the thick tree covered terrain. Not always!!!!! Even though you make images of Nature, it’s not a bad idea to sometimes include man made elements in the frame as a way to showcase the scale of the landscape. 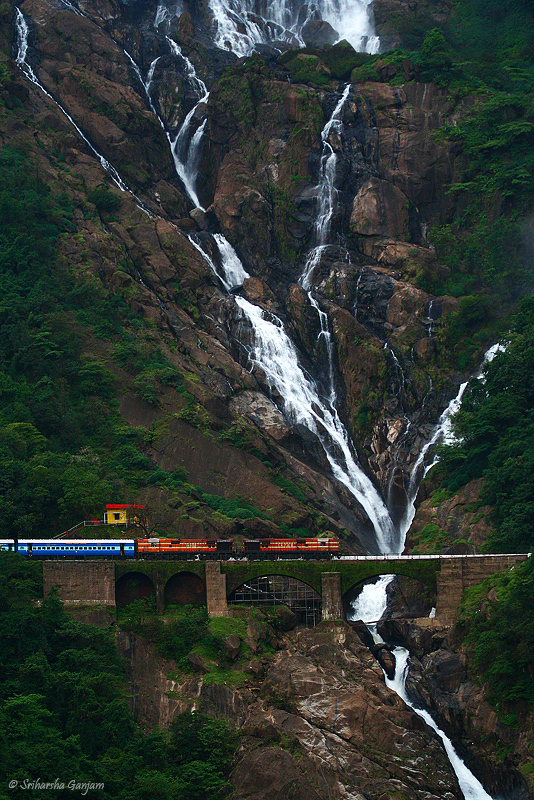 This is the famous DudhSagar falls in the Bhagwan Mahaveer Sanctuary. It’s the 5th highest free flowing water fall in the country and I thought including the train and the bridge in front of the water fall would really showcase the enormity of this waterfall. 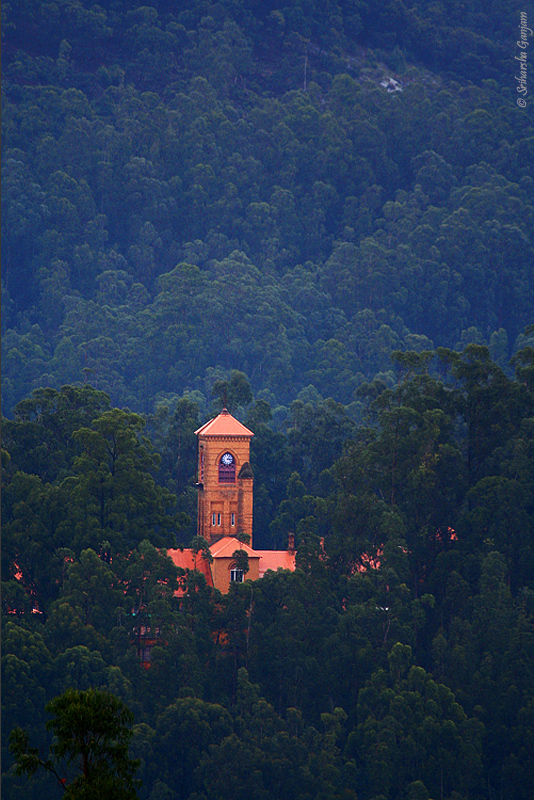 This is Lawerance School in Ooty and this is its clock tower rising against the forests that surround the campus. The bright Orange against the muted green colors of the foliage caught my attention here, it also shows how prominent the forests are despite all efforts by humans to tame the wilderness. Humans and their structures can sometimes enhance the appeal of an image. So there you have it! 5 common myths and 5 uncommon realities. The beauty about photography is there are a lot of rules to break, but you have to know them to break them. That’s when it gets exciting and starts making an impression in the viewer’s minds. The only way to try out new compositions and angles is by exploring your surroundings and seeing nature with your minds eye.